There are plenty of roofing contractors to choose from when you need roof repair or roof replacement service, but AG Contractors Arvada is one of the most respected and trusted roofers for homeowners in the Denver area. Your roof is one of the most important elements of your home and should be taken care of by the best. With Arvada-based AG Contractors, our unmatched commitment begins as soon as we arrive to inspect and repair your roof. We’ll inspect your Arvada area home, inside and out, to find any issues that could cause a problem with a new roof installation or roof repair. If roof repairs are necessary, we will work with your insurance provider and are trained to minimize loss. 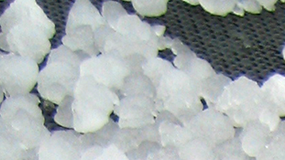 If hail from recent storms has damaged your home or roof, call AG Contractors Arvada. We are experts at roofing and siding and offer a FREE hail damage inspection and estimate. AG Contractors of Arvada, CO also has experience working with all major insurance companies. We are a hail damage insurance specialist! People who are looking for roof repairs in the Arvada, CO area can have a hard time deciding which roofer they should choose. After all, there are plenty of roofer contractors in the Arvada area, many of whom have excellent customer reviews. What should you look for when searching for companies that offer roof repair and roof replacement services in Arvada, CO? With so many different options, it’s crucial that you know what to look for in order to get your money’s worth. The first thing you need to know about any roofing contractor you hire is their reputation. It’s okay to ask for references, or to ask a friend which roofer in Arvada they have used. Imagine what would happen if you end up deciding on a roofing company to do your roof repair that is famously known for shoddy roofing services throughout the Arvada, CO area – you can expect it wouldn’t be a pretty sight after a major storm. 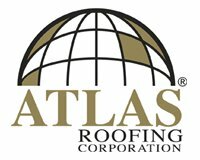 When it comes to finding the right roofing contractor in Arvada, CO, choose a roofing contractor company that is well-known locally, with a reputation for excellence, and trusted to get your roofing project done in the most professional manner. As an added benefit, when you choose AG Contractors, we always have time for an estimate. Whether you are a new customer or a returning fan of our roof repair or roof replacement services, call us today for an estimate!